I can’t sum up my feelings for this book right now… It’s a fast paced book, I just can’t stop reading. Definitely a page turner! I should’ve read this book when I first laid my eyes on it. The story was set in a dystopian era where people were labeled by numbers, the Ones which means royalty, the Twos and Threes which is basically a little lower than the ones, the Fours then there’s the Fives which our main protagonist America Singer belongs. America and his family were musicians and artists. Six, Seven, Eight and the Nines(?). 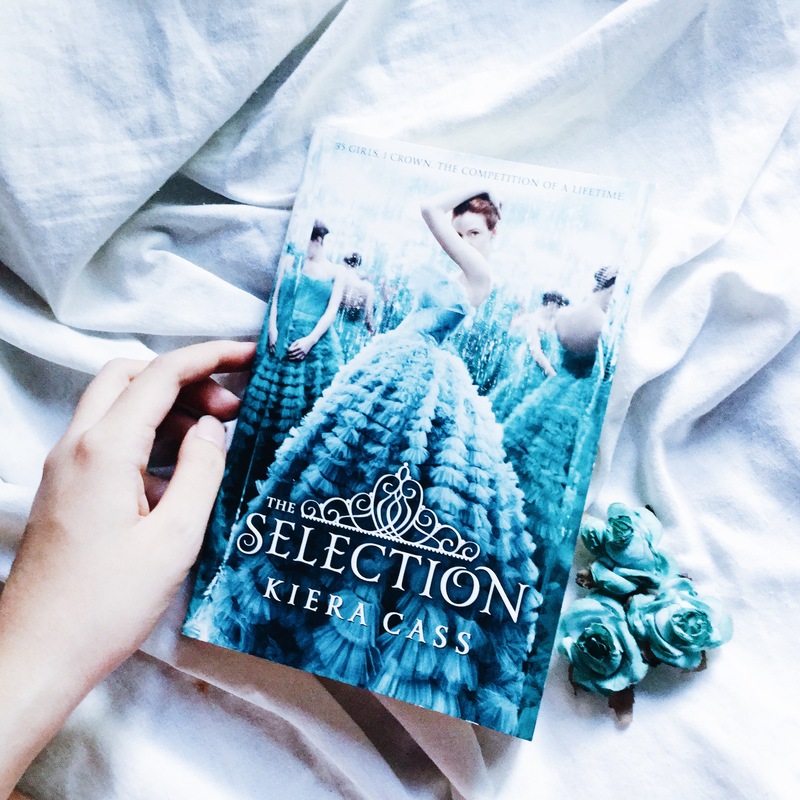 There were letters sent to families all over the kingdom with daughters who are in the right age to be a part of The Selection, a contest where the prince will choose one girl to marry, to be the future wife of the ever so gorgeous Prince Maxon. America is secretly seeing Aspen,a Six, for almost two years but they couldn’t be together because of their labels. At first as I was reading the story plot it hit me like, “Was I re-reading the Hunger Games times The Bachelorette?”. It’s kinda unique because as a royalty who would have thought that this search for the girl that will marry the prince would be chosen out of the 35 girls. America’s character was okay, she didn’t seem to be desperate to win the contest or even the crown. She wants to be there because she wants to escape from Aspen and of course she’s doing this for her family. I liked how Prince Maxon and America’s relationship is going, from friends to more than friends as the last chapter has told us. I really really liked this book, it’s not too cheesy just the right amount of sweetness that will make you swoon. Looking forward for the second book!